Before you marvel at international stars, Jake & Jill Gardner, onstage for Anchorage Opera’s 55th Anniversary Opera Extravaganza get to know them, and see them in ‘behind-the-scenes’ action as they share their expertise with talented local singers! 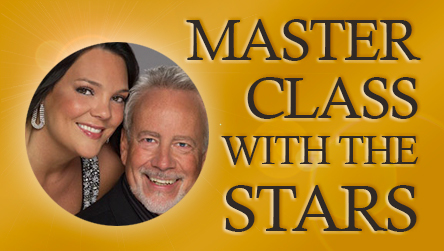 You won’t want to miss this unique event as the dynamic husband and wife duo present a Master Class with talented local singers chosen to perform and work with our world class artists to improve their technique and artistry. You’ll witness these young talents blossom before your eyes as our incomparable team share their knowledge and help them hone their vocal and stage craft.